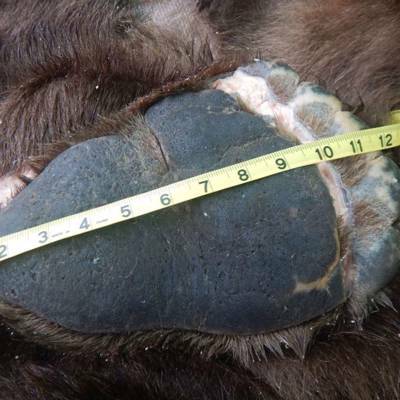 Coastal Brown Bear of the Alaska Peninsula are contenders for the biggest predators in the world. 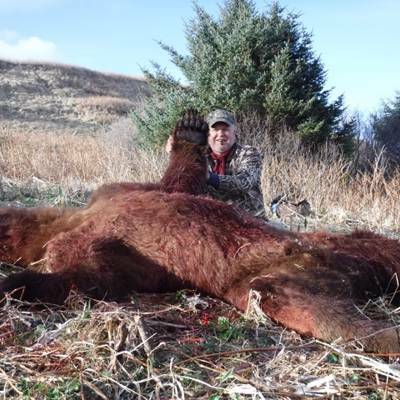 Regularly producing top-entry Boone & Crockett specimens, this area rivals any area in the world for record book bears. 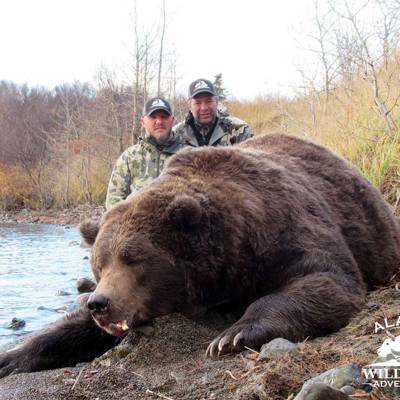 Hunting over salmon streams in the fall, we focus on finding trophy bear as they prepare for hibernation. 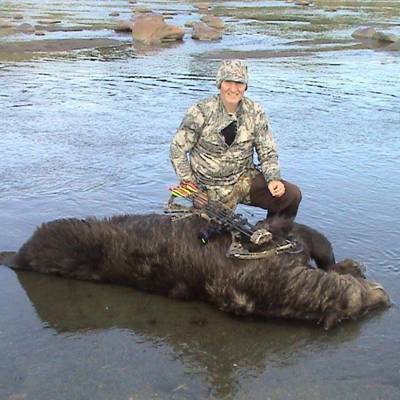 This is a spot and stalk style hunt, but we often focus our efforts on select feeding locations and salmon streams. The weather can be very brutal with high winds and frequent rain. 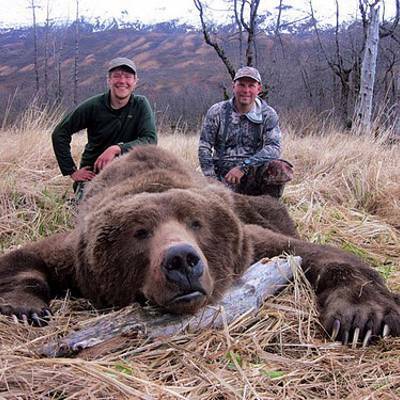 This area boasts very high population densities of trophy brown bear. 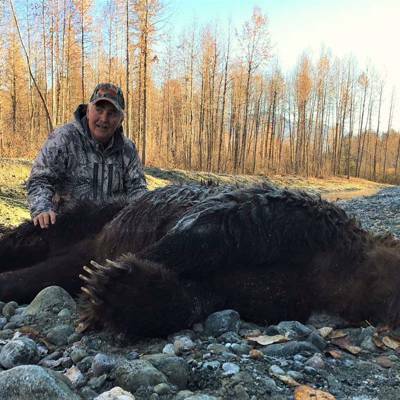 Hunting on special permitted federal refuge land, we have a very high success rate in an area that was relatively untouched (and not hunted for bear) for more than 15 years prior to our acquisition in 2014. 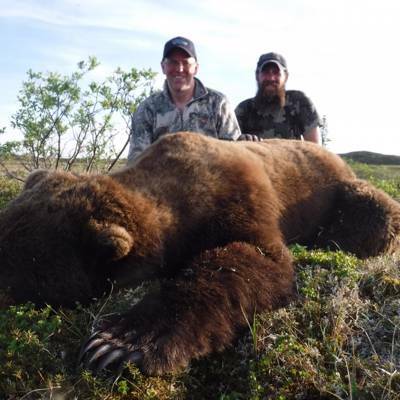 This hunt is 1 guide per 1 hunter and includes 1 trophy Brown Bear. 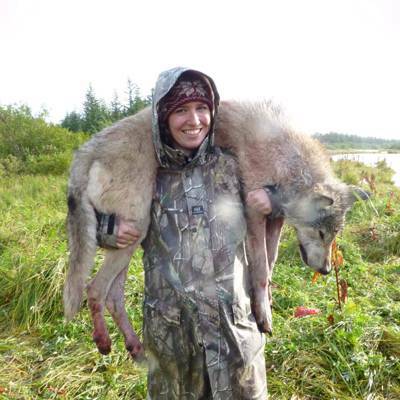 Wolves may be hunted for no additional fee. 15 hunting days and 17 total trip days. 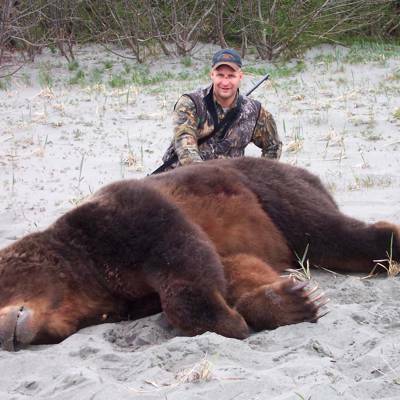 You will be hunting the Famous ABC Islands (Admiralty, Baranof, and Chicagof) for huge Brown Bears. 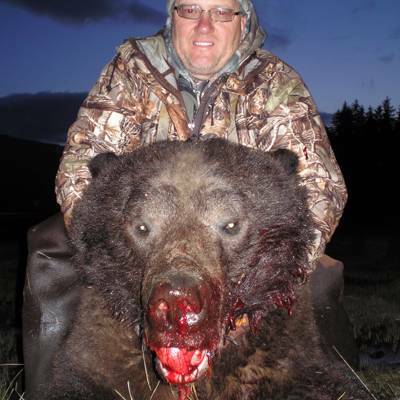 We have hunts available in both spring and fall every year. 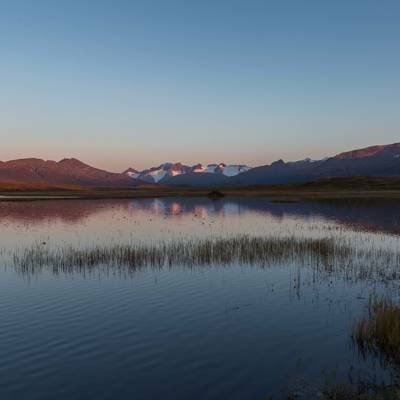 Our hunts take place from one of our Yachts that serve as base camp. From there you access the hunting areas in smaller 16 -18 ft boats or “Skiffs. 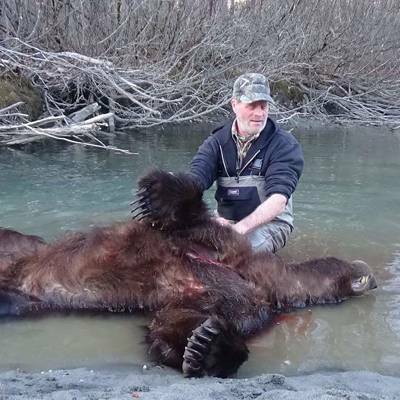 Fall Brown Bear hunting in southeast Alaska takes place along one of numerous streams where salmon spawn, during the months of September and October. 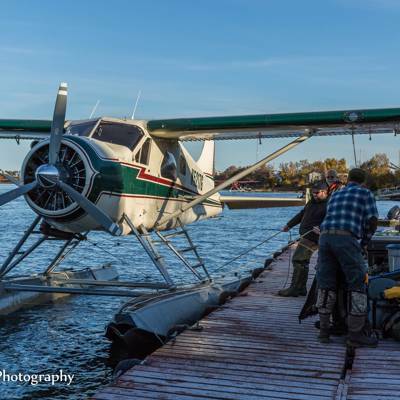 Hunts are based from one of our custom vessels, with hunters venturing forth one-on-one to a separate hunting location each day; returning to a warm, dry boat and a hot meal each evening. Skiffs launched from the “base camp” vessel are used to access river estuaries, then hunts are a walk then sit style up the salmon streams in the beautiful old growth rainforest. 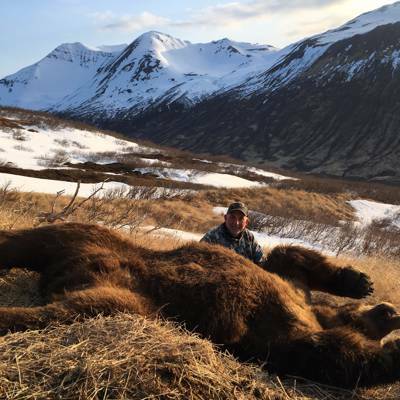 This hunt offers the unique experience of being in some of the most magical environments on earth. 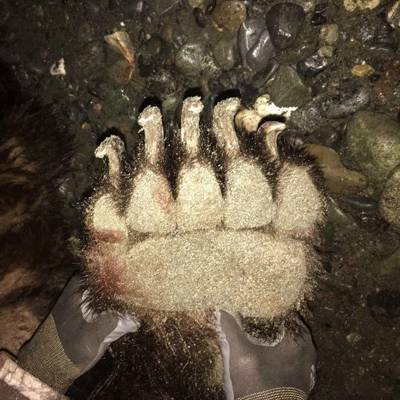 Hunters are expected to be able to walk upwards of 2 miles in Chest waders over slick moss covered rocks, logs, trees and uneven ground. 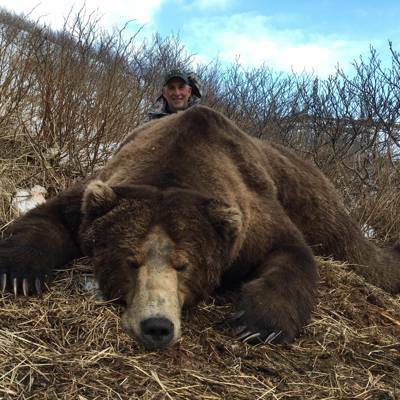 The Brown Bear we work to harvest square from 9ft to 10ft+ with skull size ranging from 23 - 28 inch. 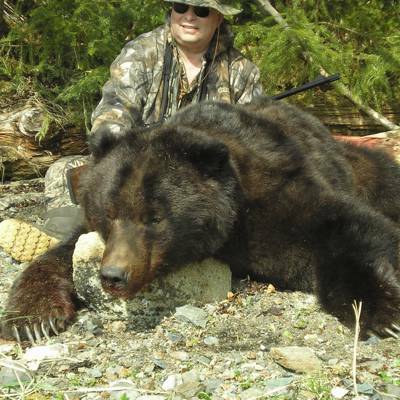 Our Black Bear square from 7ft to 8 1/2ft+ with skulls ranging from 17 - 22 inch. 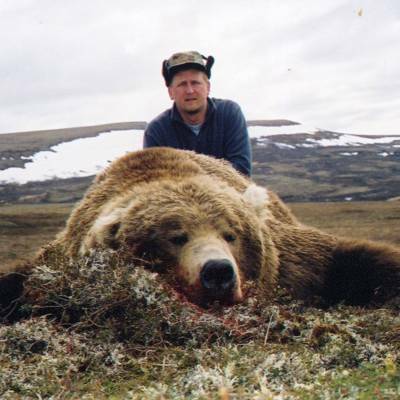 Brown Bear hunts are 10 days of hunting. 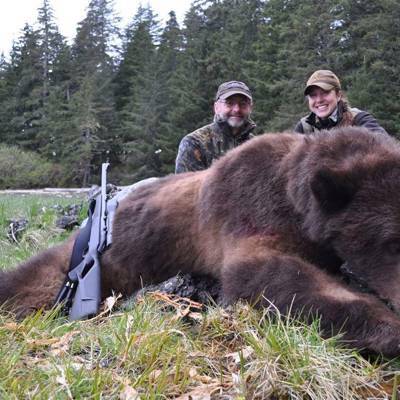 Combination Brown Bear and Black Bear hunts in the fall are available on select dates and is added on at $8,000. Please inquire for available dates! 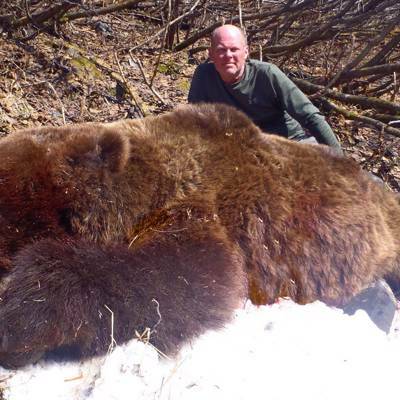 Spring and Fall hunts available and we offer Interior Grizzlies, as well as Brown Bears. We do spot and stalk hunts as well as hunt over bait. 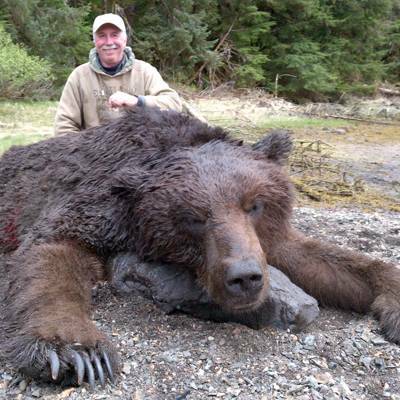 We have taken two brown bears with skulls over 27 inches and one bear with skull over 28 inches in the last few years. 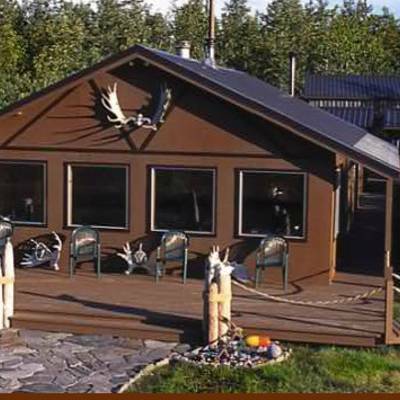 Many of our hunts are from comfortable cabins and can be combined with a black bear hunt in the spring. 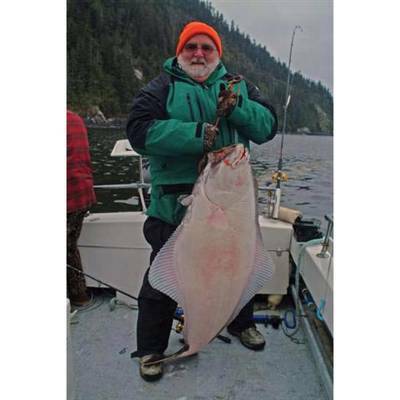 The early to late-fall run of Chum, Sockeye and Coho salmon make this hunt prime. 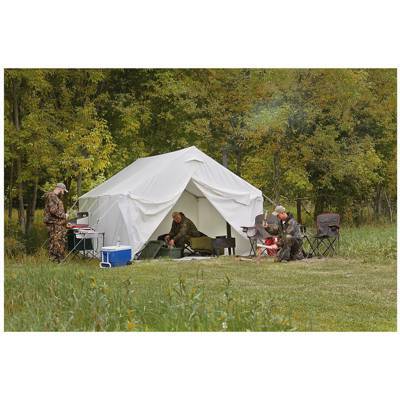 Hunt strategy will range from spot & stalk and ladder stands to bank sitting and pop-up blinds. 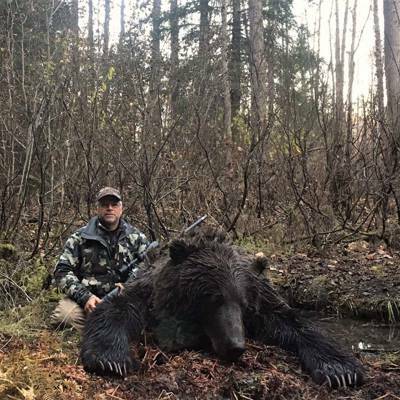 My policy of one hunter at a time is generally adhered to when brown bear hunting, as the added noise, scent and associated interference of a second hunter will only spoil the chances of success for everyone. 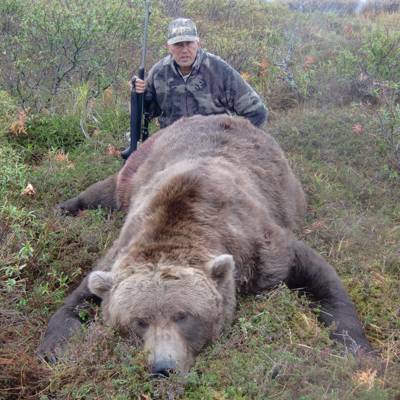 Most fall brown bears will be taken during the last light of the day or by moon light. 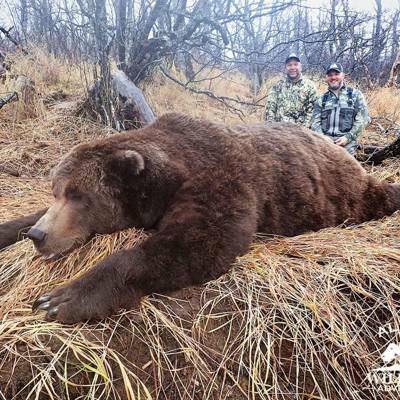 This hunt can be booked as a rifle or archery hunt. 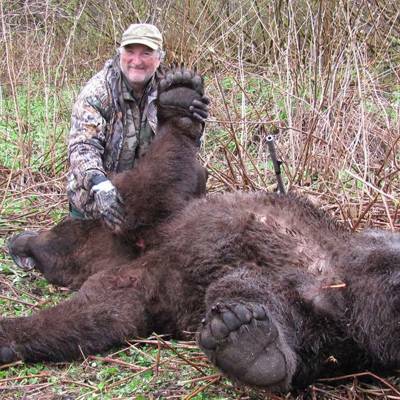 Extremely large Brown Bears in Southeast Alaska are not normally as abundant as at Kodiak Island or the Alaska Peninsula. 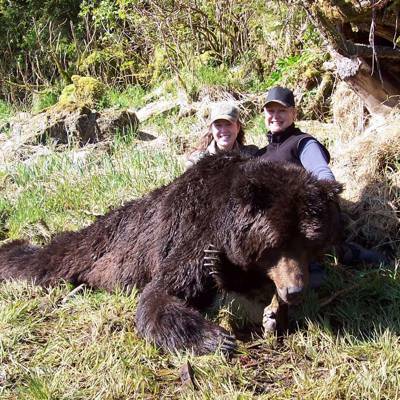 However, some of the largest bears ever taken in Southeast Alaska were taken from my hunt area by my clients. 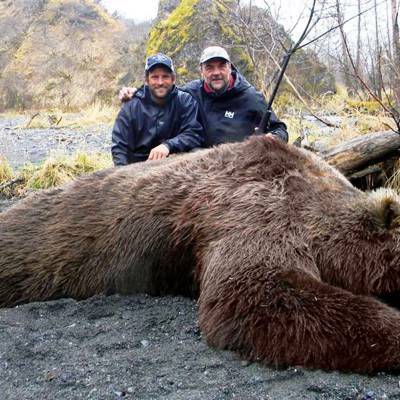 Hunters who have patience, and sometimes simple luck, have harvested brown bears that square 9-feet plus. 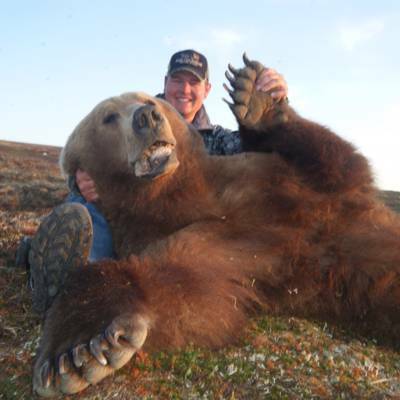 To-date the largest bear my clients have taken squared 9.8 feet; which is a true measurement – no fudging. 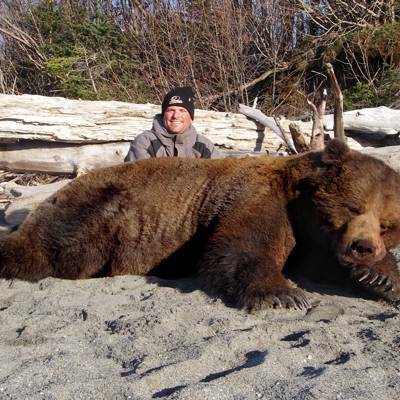 It may have gotten bigger by the time it was mounted (They often do) Skull sizes at Haines have exceed 28 inches, but a large bear in Southeast Alaska is anything over 24 inches. 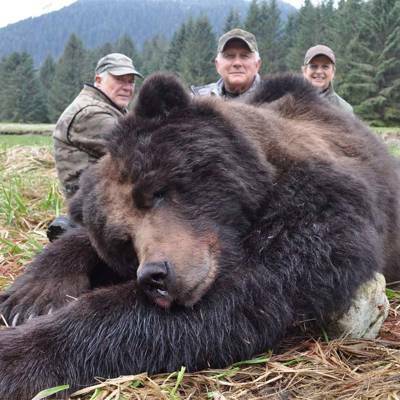 Brown Bear, Black Bear and Mt. 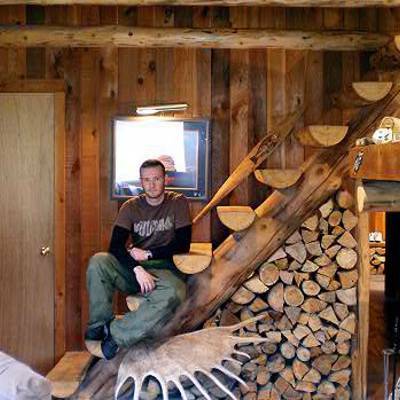 Goat can be booked as a combination high country hunt. 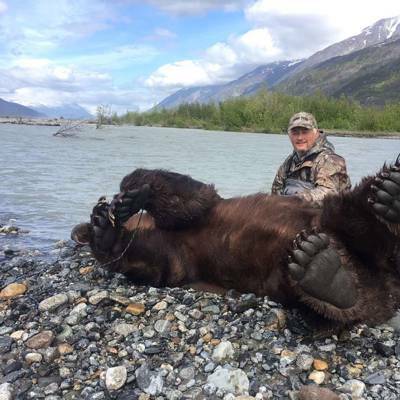 We have no shooting hours in Alaska. 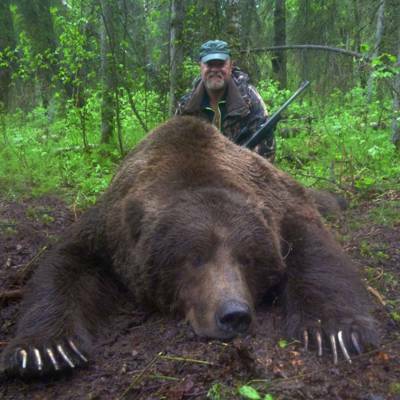 The largest, most wary Brown Bears are nocturnal in nature. 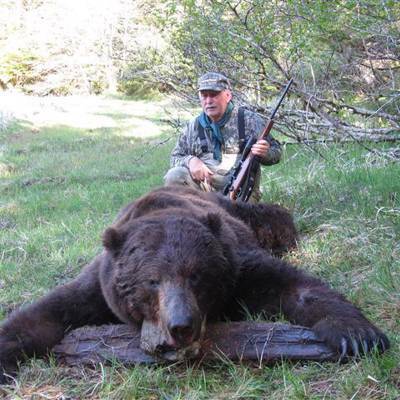 I can provide a Winchester Model 70 rifle in .338 Magnum and Leopold scope that has an illuminated red dot and a 56-mm objective lens for night hunting. 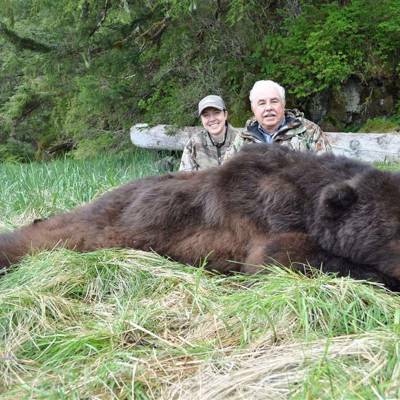 We do not use night vision scopes or infrared scopes because they are illegal in Alaska. We hunt only with natural light. 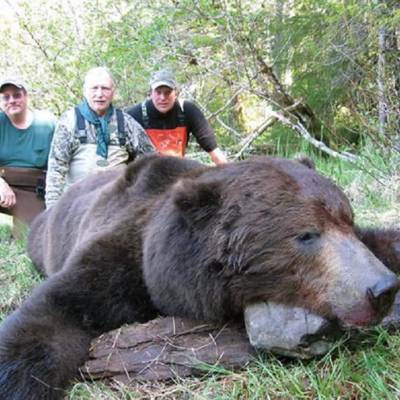 Hunters should arrive a day before a hunt starts, and depart a day after it ends. 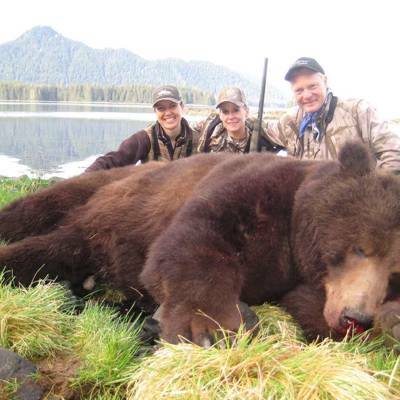 Brown bear hunts are done on Baranof/Chichagof Islands which are located in Southeast Alaska. 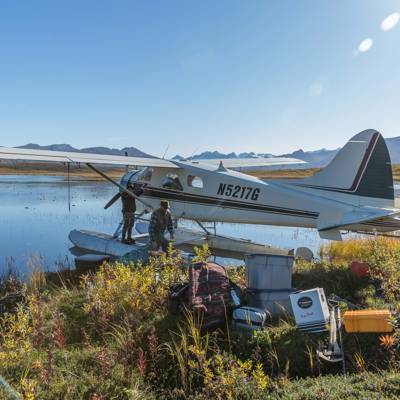 We use my Float house as base camp and then use skiffs to spot and stalk bears feeding along the bays and estuaries. 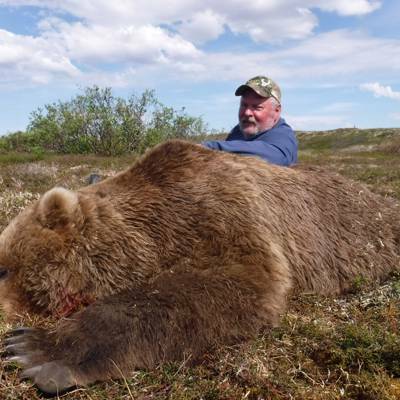 You will see thirty to seventy bears per hunt and we target large Boars. Fishing and crabbing is included in this trip. As the land awakens to the warmth of Spring, the Coastal Giant are also awakening from their six months of slumber. 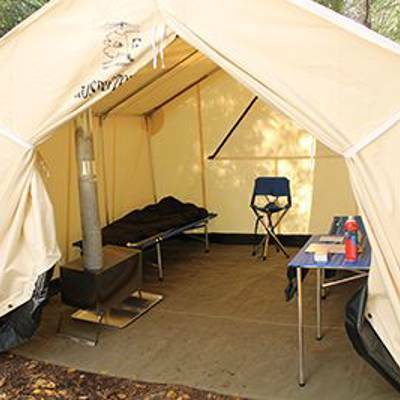 From the warm comfort of our large boat, as base camp, you can observe it all first hand. 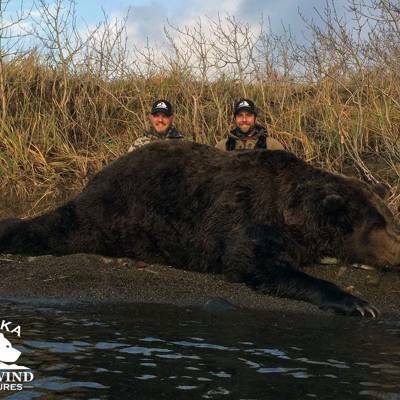 Using 16' skiffs, powered by quiet four stroke Yamaha outboards, we will move around along the inter tidal zone glassing over many bears. 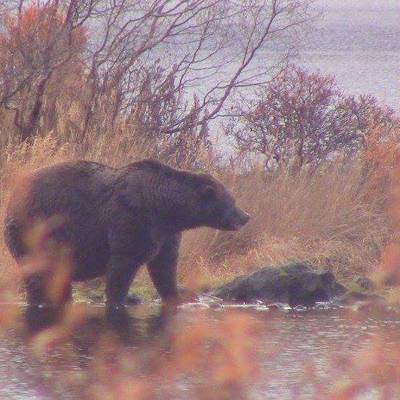 These bears are coming to the beach to look for a mate and begin eating again on the first emerging sedge and grass. You'll need ankle fit hip boots and a good raincoat. The days are long and warm now, so you'll just need light long johns for the cool of evening. 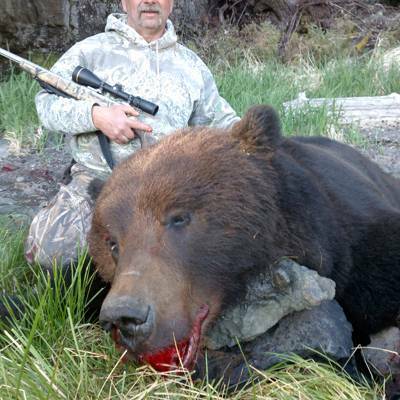 For your rifle, I recommend heavy bonded bullets and something of .300 magnum or larger. Shooting sticks also help when everything comes together. 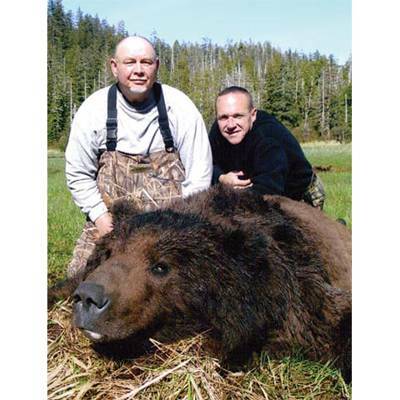 Our boars are a little darker than average and average 8 1/2', it is common to get a big guy to 9 1/2', and our largest go 10'. 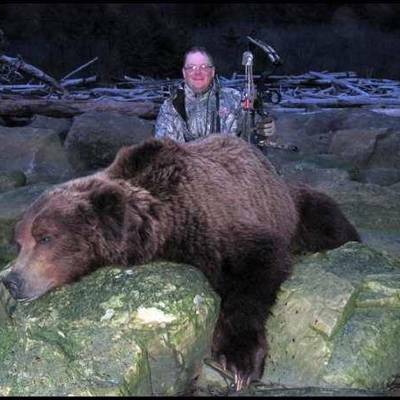 This is a fairly easy hunt with allot of glassing. We will plan on meals that include pan fried rib eye steaks and local caught shrimp and salmon. 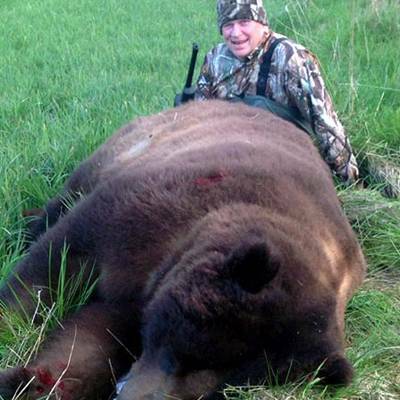 When you tag out we'll make swiss steak from your bears back strap! 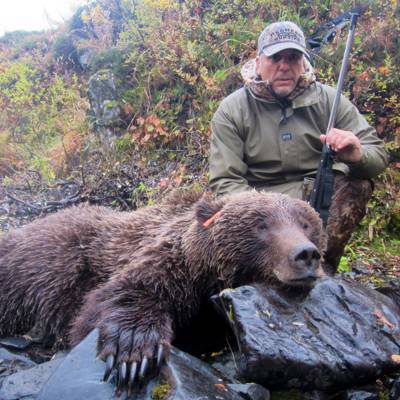 All in all, Todd said it best on his brown hunt, " I just don't want to go home." And maybe you won't either!